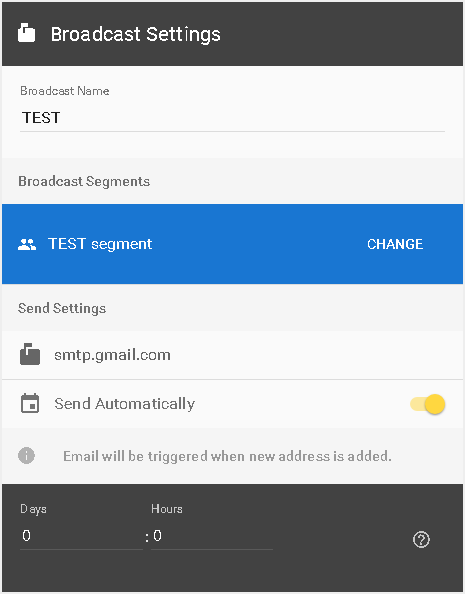 Broadcasts module offers a full email marketing campaign management, it allows you to schedule automatic email for your audience segments. You need to specify an SMTP server before creating a broadcast. 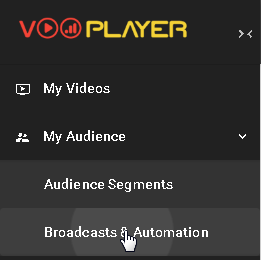 To create your first Broadcast, go to My Audience and choose Broadcasts & Automation. Click on NEW BROADCAST to create a new one. 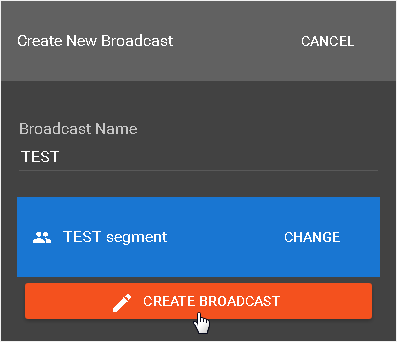 Name it as you like, choose the desired Audience Segment previously created and click on the CREATE BROADCAST button. After you create it, you will be able to customize your outgoing email, and add or change an audience segment who should receive this automated email. This means you should previously create your desired audience segment. Creating an audience segment means you can choose any specific category of your audience and send them an automatic email. For example you can set that everyone who watched over 50% of your video will receive an email. You can set a delay for the automatic email or even determine the exact date for your marketing campaign emails (when you disable Send Automatically).